FPT Telecom International provides direct Internet connection to the International (GIA) and Domestic Internet (NIX). Unlike common Internet connections, Internet Leased Line can provide all speeds from 01Mbps up to dozens Gbps along with stability, high-speed connection and special customer care. 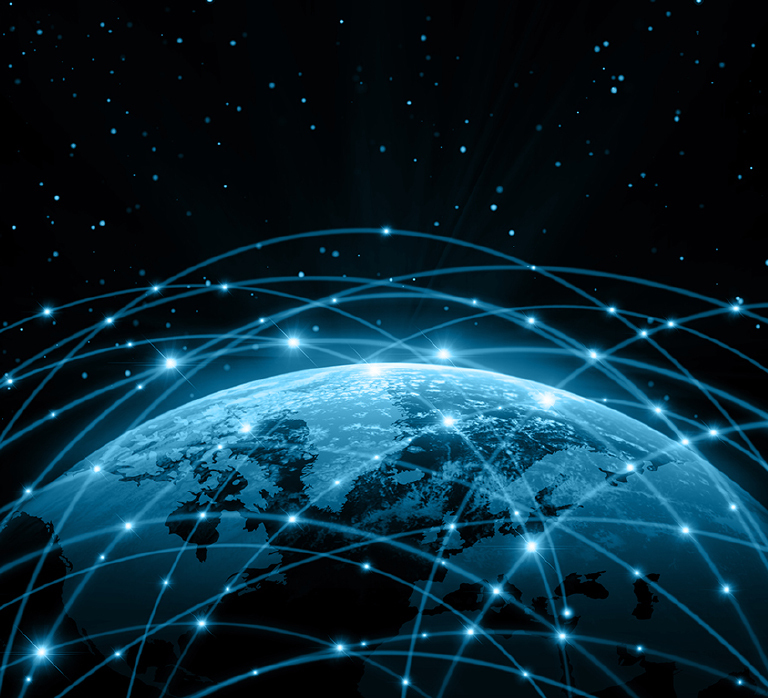 Global Internet Access (GIA) is the Internet connection service with the separate international gateway for global agencies, companies and representative offices with high requirements for connection quality and bandwidth of the International Internet connectivity. 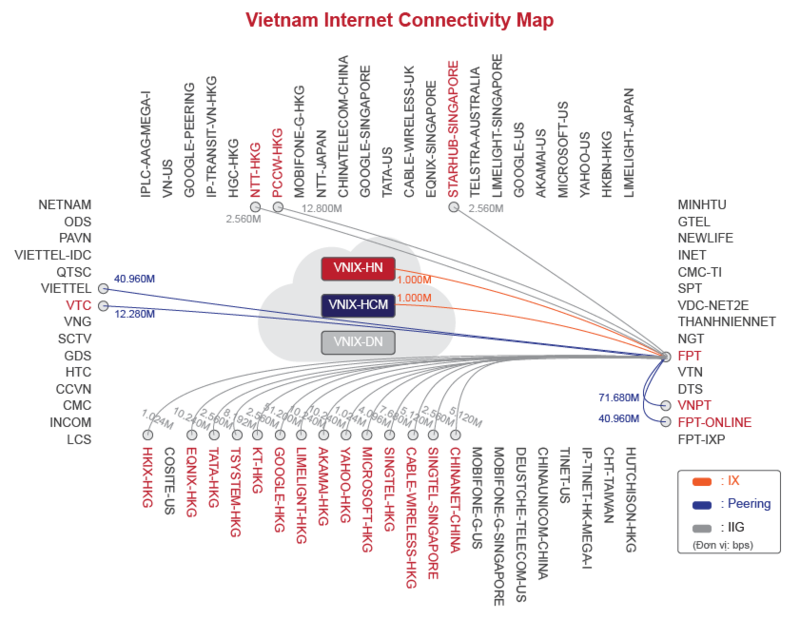 National Internet Exchange (NIX) is the Internet connection service through VNNIC and major ISPs in Vietnam, based on high-speed Peering infrastructure directly connected from FPT to other local ISPs and vice versa. International connection gateway: FPT Telecom International gateway has total international connection capacity of over 500Gbps and four major Internet gateways located in Hong Kong, Singapore, Japan and USA. FPT Telecom International Internet connection has been deployed through various channels, including landline fiber optic cable line and submarine fiber optic cable line. Besides that, FPT Telecom cooperates with other companies, such as MCI (USA), NTT (Japan), Reach and PCCW (Hong Kong), SingTEL (Singapore), etc., to have access to other direct international connections, to meet all constantly changing needs of customers, such as video conference, virtual private network (VPN), call center services, etc. 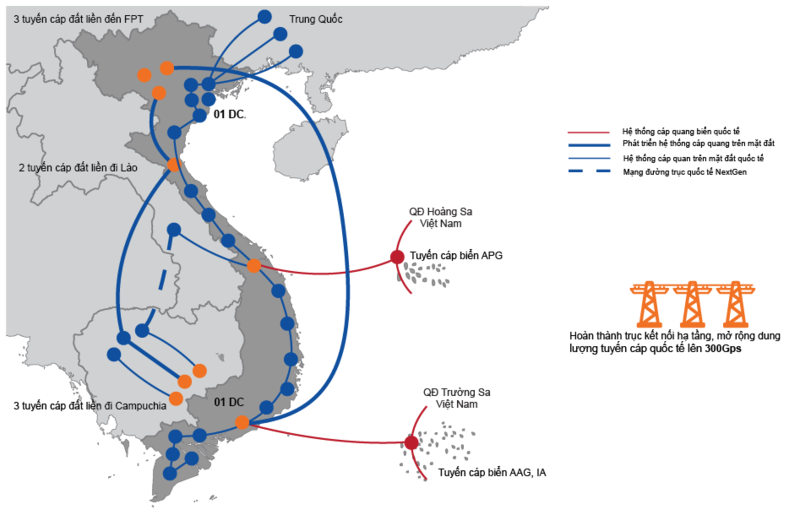 Landline fiber optic cable lines are deployed in various physical channels and directions, from Hanoi to the Chinese borders directly connected to FPT POPs in Hong Kong. Submarine fiber optic cable lines. 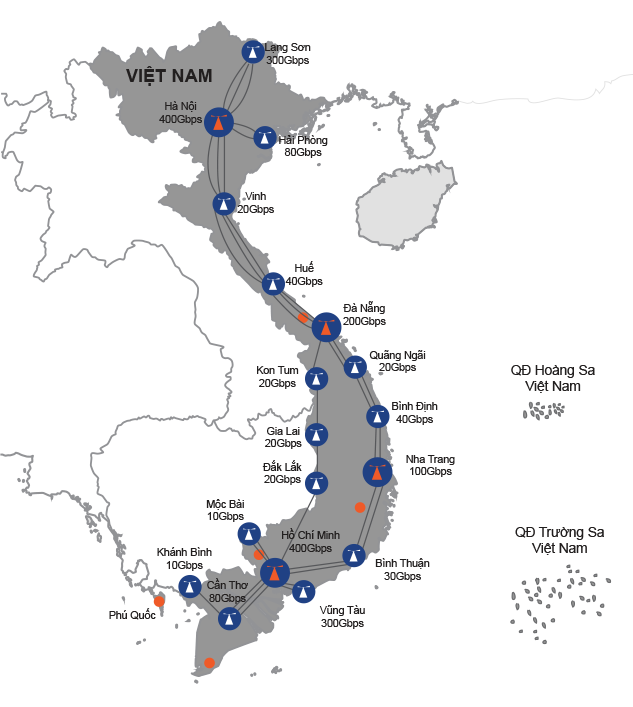 FPT invested in three fiber optic cable lines, including AAG and IA connecting to the shoreline in Vung Tau and APG connecting to the shoreline in Da Nang. E-Metro is the brand name of MPLS-based data transmission service by FPT Telecom International. It is the latest and most cost-effective technology in terms of confidentiality and information security when transmitting data. This technology has been consulted and implemented by FPT for all banks, security companies and international corporations. Fast and simple bandwidth upgrade. Customer support provided within 2 hours from receiving the request. 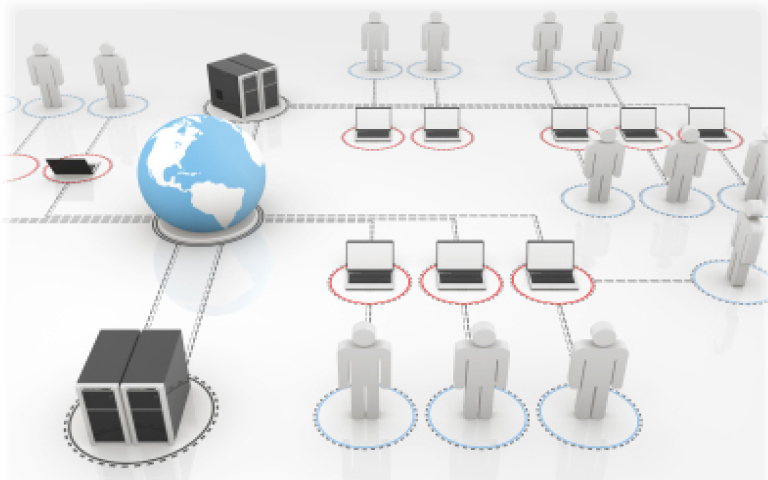 Connect all branches of a business at various fixed points nationwide. Save costs on initial deployment as well as on monthly subscription fees. Backbone: FPT completed our own 1800-km backbone network from Lang Son to Ca Mau, with total bandwidth over 600Gbps, in the end of 2012. Along with the backbone network, FPT covers its infrastructure and offers its services in 61 provinces and cities nationwide. High-speed connection, with broadband ranging from 64Kbps to 10Gbps. Expand the connection points and upgrade the system easily, fast and cost-effectively, without separate transmission channels. High security and efficient network management provided through MPLS technology. Class of service (COS) for user classification, to meet different connectivity needs of customers. 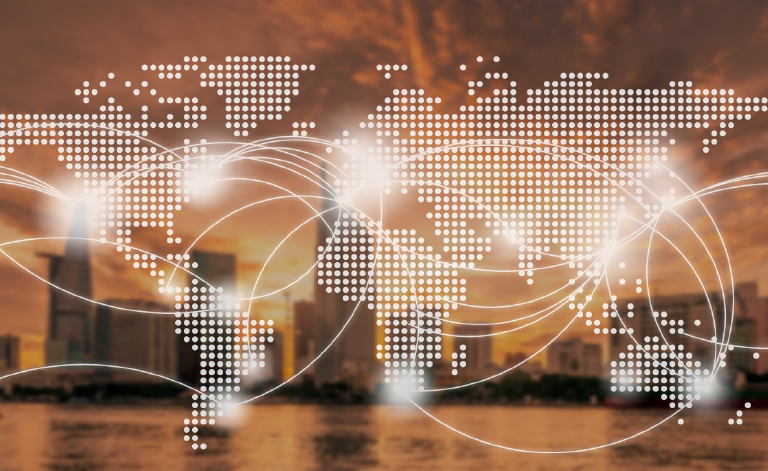 Connection with more than 80 countries globally through FPT connection network and our partners. Robust and reliable security through BGP (Border Gateway Protocol). 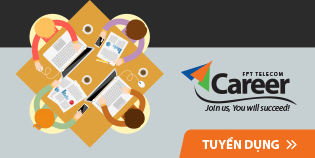 Our customer service support center is operated 24/7/365 by highly qualified engineers and technical experts. AsiaTransit service built on our backbone infrastructure, provides customers with excellent opportunities to improve the Internet direction to Asia’s core routes such as Hong Kong and Singapore, and save a lot of costs with our simple and unique package. The main advantage of Asian ISPs is their direct connection to our IP-based network, which means that our customers can experience a better Internet environment, because our IP system covers all Asia. Shorten directions in order to optimize transmission line. Different cable lines supporting each other to provide reliable transmission line. High-speed axial cabling system and excellent stability through IPLC to China, Hong Kong and Singapore. Offering high quality services with the equipment that meets all international standards. IP directly provided from Globe Tier I ISPs. By running services together with the existing connections, customers can route a significant portion of their traffic to our low-latency and high-performance network.